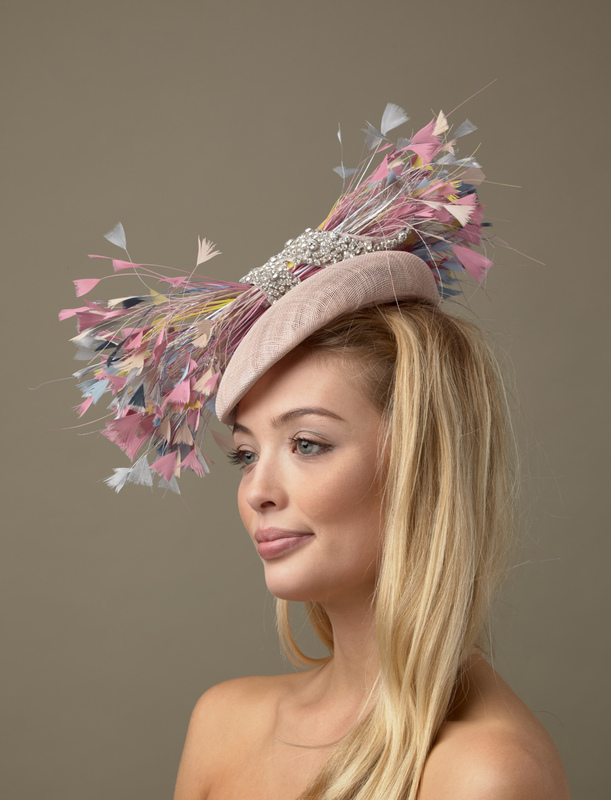 The Scotch pillbox hat comprises a pillbox base adorned with a sinamay twist which can be customised with your choice of beading. 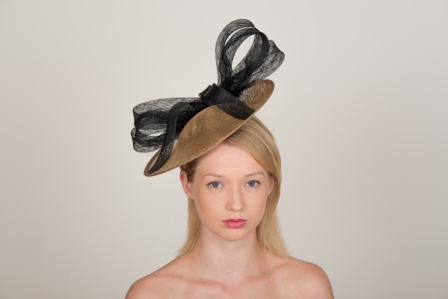 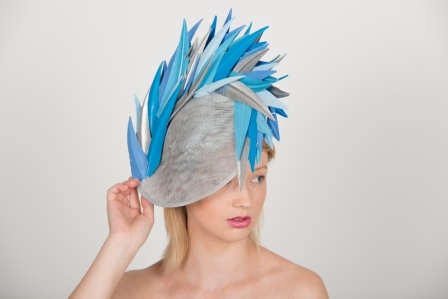 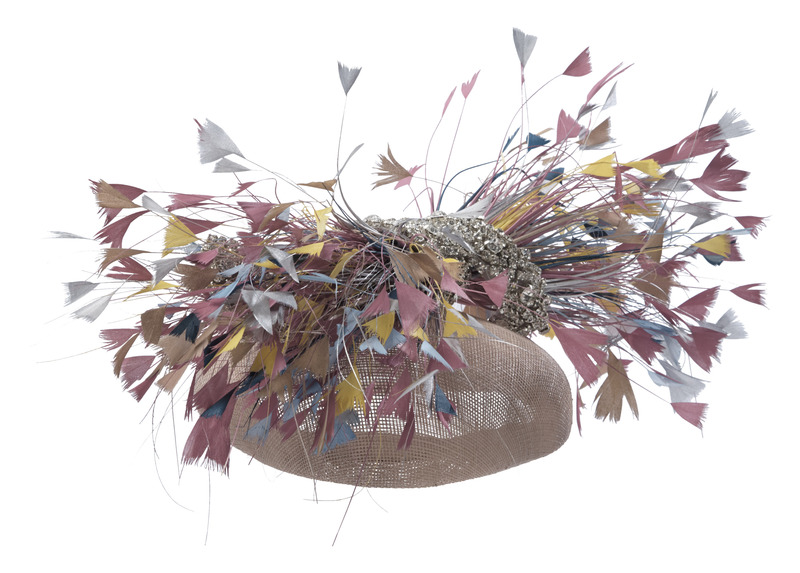 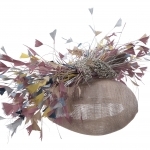 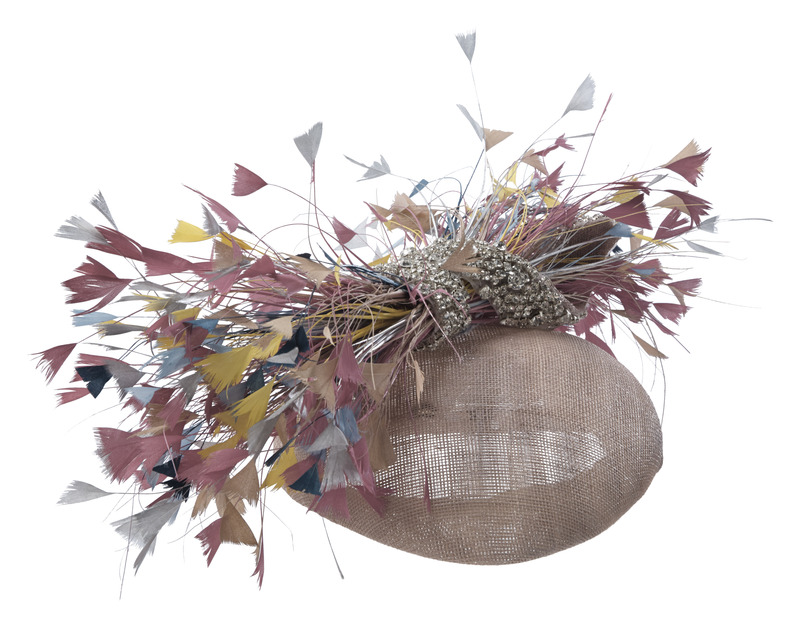 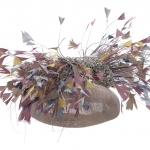 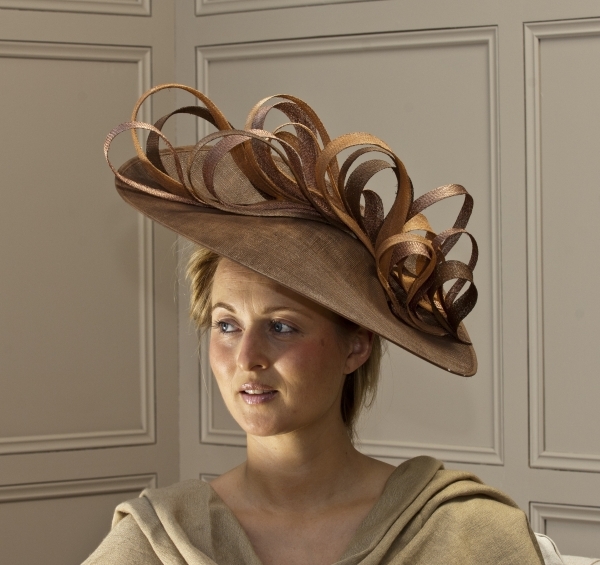 This twist then has a flourish of small cut coque feathers passed through it to add some real fun to this standout hat. 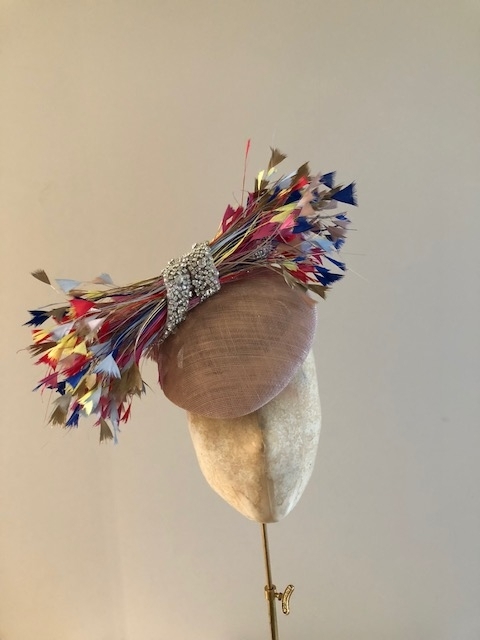 The Scotch pillbox hat is such a great hat for colour matching perfectly to your outfit, there are so many different elements to it that you can customise. 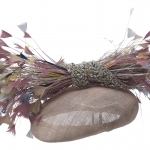 You can choose whether this hat comes on a comfortable headband or a discrete elastic. 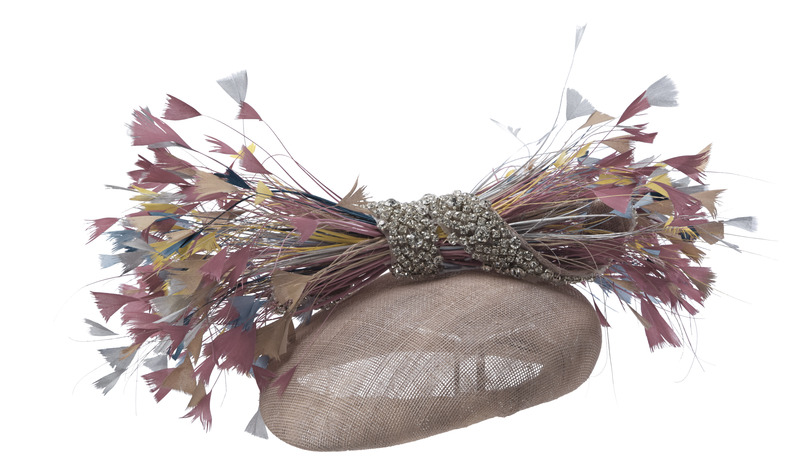 However, whichever you choose we will match it to your hair colour. 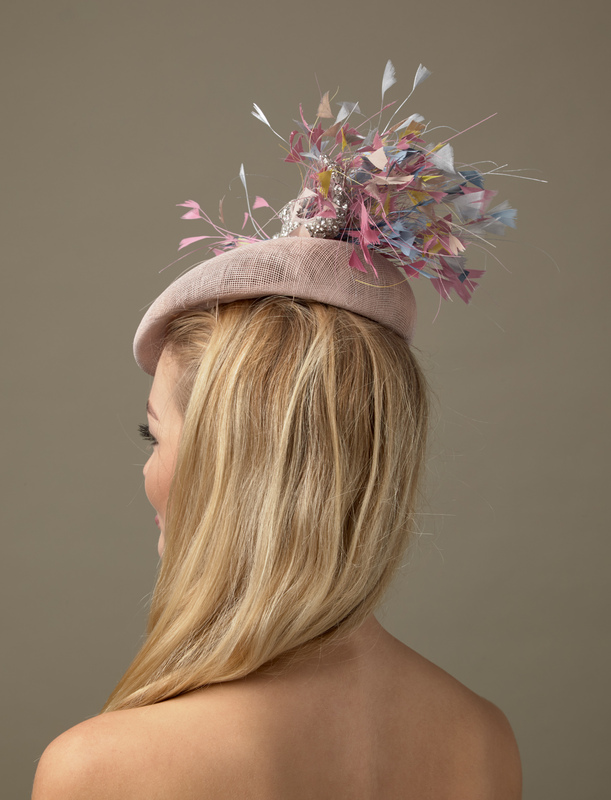 All of our hats are available in a wide selection of colours, all completely customisable by you. 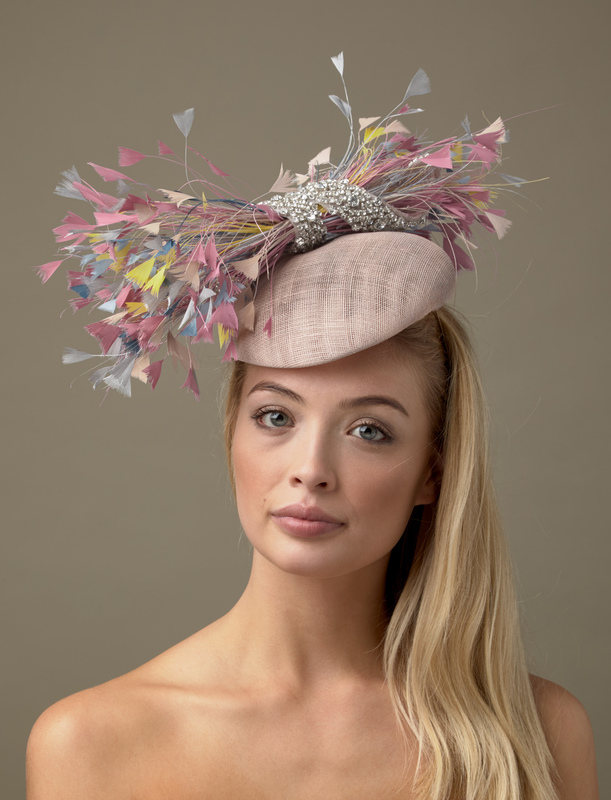 To view the full range of colours available please click here. 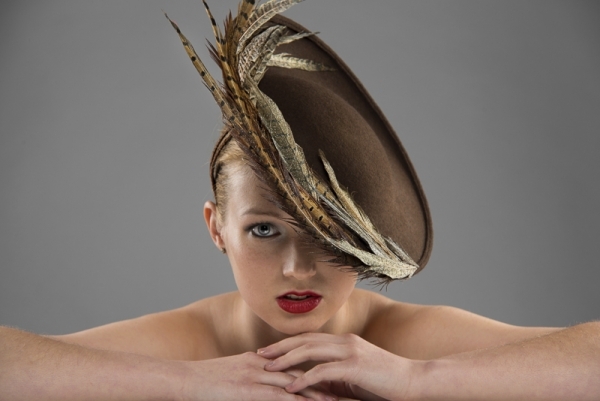 Alternatively we can provide you with a colour matching service at no extra charge. 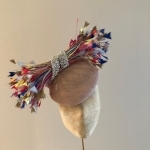 To choose this option simply tick ‘Request a colour consultation’ as you checkout and we will be in touch to discuss your requirements.